01 / Do They Have Experience Handling Cases Just Like Yours? 02 / Do they have experience winning cases like yours? 02 / Do they have countless great reviews? 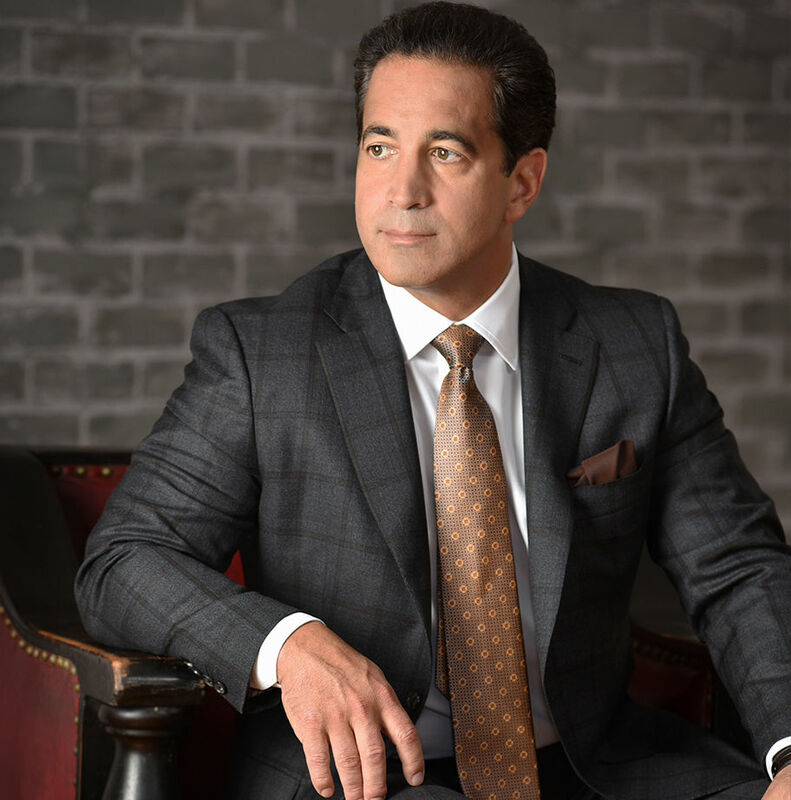 The Marrone Law Firm, LLC has spent over 25 years establishing a strong reputation throughout Pennsylvania and New Jersey as a high-powered civil litigation law firm. With a proven history of success involving a wide array of civil matters and a concentration in catastrophic injuries and accidents, our law firm aims to offer the best possible legal representation to each and every client. Contact us to schedule a free consultation with one of our experienced Philadelphia personal injury attorneys. 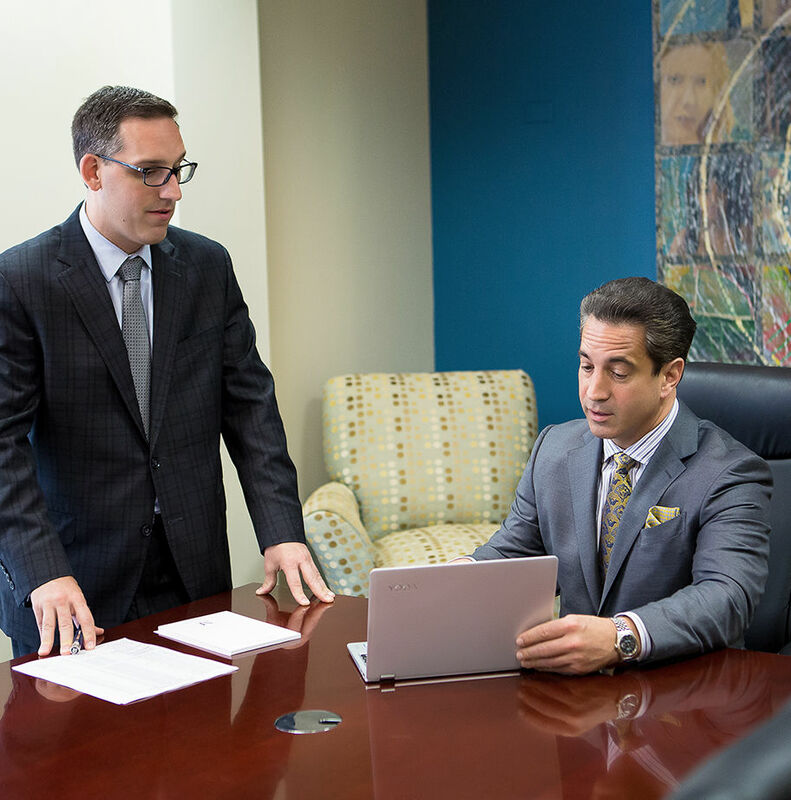 A lawyer at one of our two office locations in Philadelphia, PA or Cherry Hill, NJ will evaluate your case and recommend the next course of action to help you receive compensation for your pain and loss. Why Choose the Marrone Law Firm, LLC to Represent You in Your Philadelphia Personal Injury Matter? 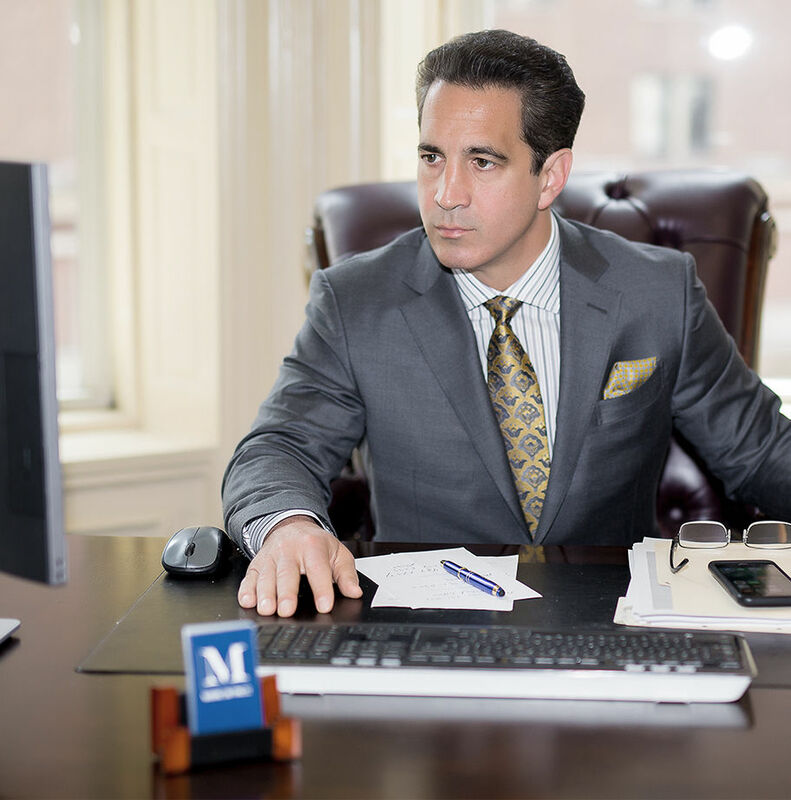 The Marrone Law Firm, LLC has over two decades of serving people all over Pennsylvania, New Jersey, and New York, and especially the Philadelphia area. Although we focus on cases that involve serious and catastrophic injuries, we also handle a wide range of other personal injury cases. We can offer you legal support with anything from construction accidents and automobile accidents to medical malpractice and workplace accidents. Marrone Law Firm has the knowledge and resources necessary to tackle any personal injury case. The attorneys at the Marrone Law Firm understand how devastating a personal injury can be on one’s life. We also understand the stress and struggle of dealing with many other areas of law and getting the right strategy for your claim. Our multifaceted Philadelphia legal team takes every single case as seriously as the next and prepares every single claim to be court ready. The staff at Marrone Law Firm, LLC continuously supports you to make the process as stress-free as possible and to help you get the most out of your accident claim. Marrone Law Firm, LLC offers extremely affordable representation for every personal injury client. We do not surprise you with any hidden fees, and we make it free to consult us on your case. We are happy to answer any questions you might have and give you an idea on what you can do next without a single dollar out of your pocket. Best of all, we will not charge you anything unless we win the case for you, leaving you free from the stress of financial obligation if by any chance the trial doesn’t go your way. We have been getting our clients large settlements for their claims for over 25 years. Many of our serious and catastrophic injury cases in PA, NJ, and NY have been settled for millions of dollars. A recent example involved a $3 million claim after a woman died when doctors refused to treat her due to lack of a referral. For more examples of some of our case settlements, click here! Whether you have suffered a devastating injury from a serious car accident, a construction site accident, or a surgical mishap, the civil litigators at the Marrone Law Firm are here to represent you to the full extent of the law and get you the compensation you deserve. We serve our clients with dedication and understanding and take every case very seriously. If you want to get the best representation possible for your case, call us today at our Cherry Hill, NJ office at 866-732-6700 or at our Philadelphia, PA office at 215-709-7360. You can also email us to schedule a free initial consultation. Attorney Joseph M. Marrone discusses the Oakland warehouse fire and the complicated legal issues surrounding this event. Attorney Joseph M. Marrone weighs in on officer acquittals and hung juries. Discussion on the Keith Scott shooting case with attorney Joseph M. Marrone. Judge orders temporary stop to Margate Dune Project. Judge sets hearing for former PSU frat adviser. Joseph M. Marrone analyzing the bizarre DiNardo murder case. Attorney Joseph M. Marrone weighs in on the Bill Cosby sexual assault trial. Joseph M. Marrone weights in on Comey and obstruction of justice. Attorney Joseph M. Marrone weighs in on the latest Bill Cosby news. Attorney Joseph M. Marrone weighs in on Bill Cosby's sentencing.